BUCYRUS, Ohio ­— Three once-abandoned barns in Crawford County, Ohio, hold a lot of history in their long brick walls. The names of former inhabitants, “Chuck-Walt Dairy” and “Pickwick Farms” can be seen etched in stone above the doors at the ends of the barns, reminding the community of what has come and gone. 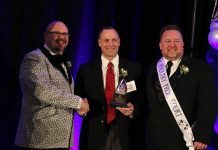 First a top-producing dairy and later a successful Standardbred horse facility, two different operations that brought a lot of pride to the small urban town of Bucyrus are being transformed into a new legacy. 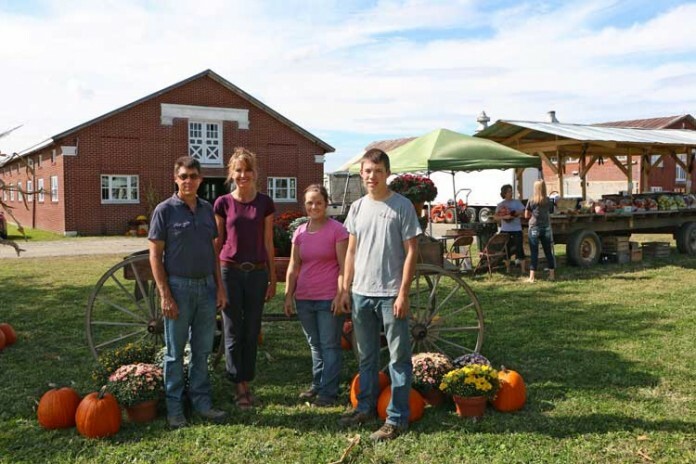 Kent and Laura Stuckey made the deal in December 2014, to purchase half of the 80 acres that make up Pickwick Farms. “The buildings sat empty for at least 20 years. The opportunity came to purchase half of the land,” said Kent. And they took the opportunity for their son, who envisioned beginning his own orchard. Teaming up with two other local families — Greg and Rose Hartschuch and Chris and Andrea Schimpf — the vision has expanded to include an event center and agricultural education complex. “We all have a background in agriculture. It has been interesting to take that experience and do something new,” said Rose. 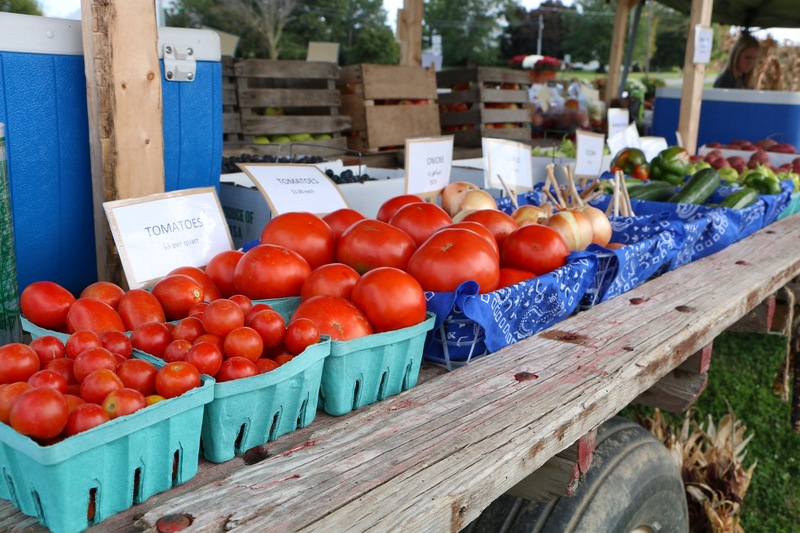 The Pickwick Place market will highlight locally grown produce and things that are unique to the Bucyrus community. The statement seemed out of place on their family dairy farm, but resonated with Ethan, and wasn’t as far fetched as it appeared. “I grew up in that industry,” said Kent. Growing up in Indiana, his parents started an orchard that grew into a sizeable enterprise — Stuckey Farm Market. The orchard was never Kent’s passion, who preferred row crops to raising produce, and inevitably led him to Laura’s family dairy. Ethan, however, found any spare moment to research the industry. It didn’t take long for Kent and Laura to realize, one way or another, Ethan was going to start planting his orchard. He started attending conferences around the state and with some guidance and words of wisdom from his grandfather, Ethan began placing orders for his trees. The 16-year-old has 2,000 trees on order for next year and is currently managing the produce market at Pickwick Place. The southernmost barn on the property will house the Pickwick Place market — currently a roadside stand of fresh-picked produce. “We want to highlight things that are unique to our community,” said Rose, who added their partnership with local honey and maple syrup producers has opened them to their products, as well. With plans to occupy the first barn with a farm market, Kent was left with two more barns in need of some serious TLC. Teaming up with the Hartschuhs, Kent suggested they move their Sycamore Run Farms operation into the north barn on the property. 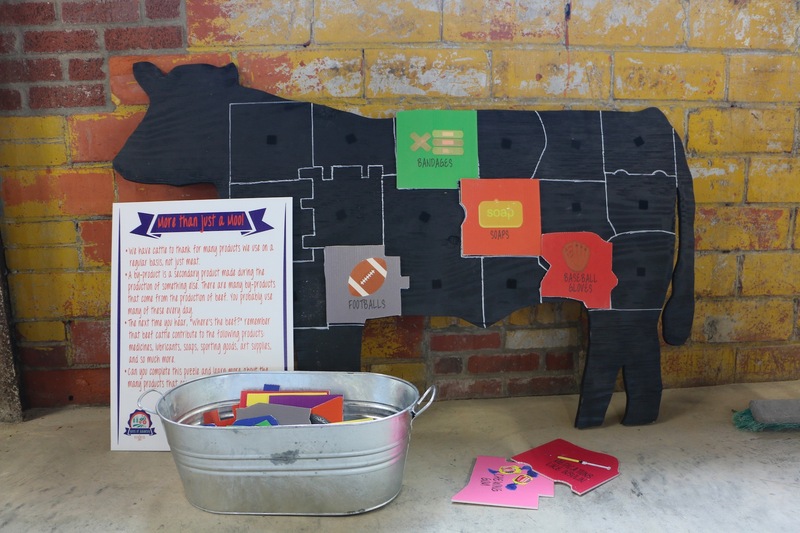 Activities like this animal by-products puzzle — More than just a Moo — connect people with where their everyday products come from — not just milk and meat products. Greg and Rose began Sycamore Run Farms on their family dairy as way to connect consumers to agriculture and help them understand where their food comes from. Relocating to Pickwick Place would make them more visible and provide them the ability to expand their outreach. A new location also meant a new name for the venture — converting Sycamore Run Farms into Acres of Adventure. As a former agriculture education teacher, Rose found a way to teach what she loved from a different venue. Acres of Adventure is a hands-on experience with different stations where guests can pet farm animals, play games that link animals to their by-products and travel through a corn maze. 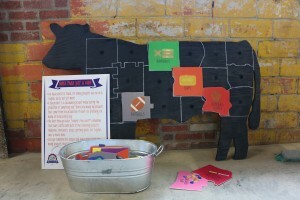 School field trips at Pickwick Place include a trip through the corn maze, a 20-minute lesson related to agriculture and current content standards, visiting different agricultural learning stations to learn about the foods animals eat, the products they provide and the opportunity to touch a farm animal (possibly for the first time). The Loft at Pickwick Place is located in the middle building on the property. The upstairs, or loft, creates a rustic scene for weddings and other events that can seat up to 240 guests. Once renovations are complete, the hall will be equipped with dressing rooms, 30-feet of additional space at the end of the barn for restrooms, a kitchen, elevator and second stairway. “Everything really fell into place. As soon as we came up here we knew it would be an incredible space,” said Rose. And word is spreading fast of the rustic venue. Twenty-eight events are already booked starting in June 2016. “Everything connects well,” said Rose. With each member of the group bringing their own expertise and agricultural backgrounds to the table, they each have different ideas. This International Harvester combine was converted into a play set at the Acres of Adventure center at Pickwick Place. 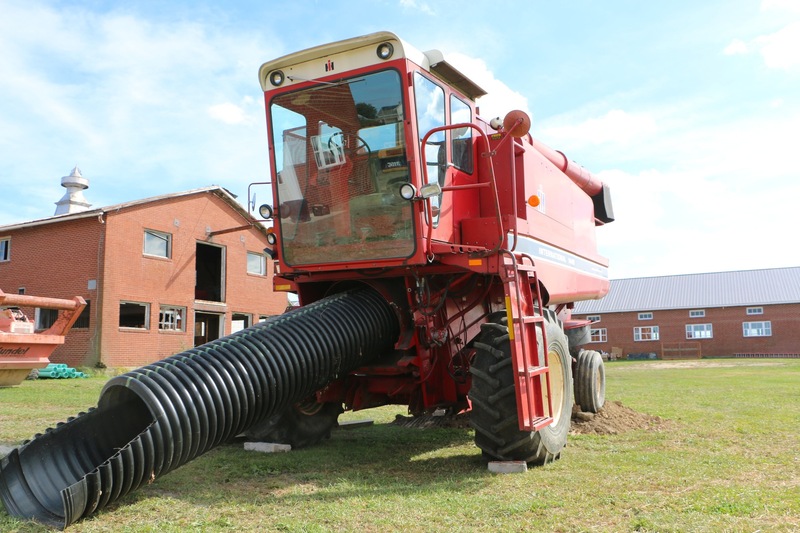 Children can sit inside the combine and pretend to harvest a field or slide down the plastic slide. Kent said Pickwick Place is planning themed events that will revolve around what foods are in season. They would like to offer a meal or a cooking class that would tie people back to the farm — where their food comes from. Plans for a cafe and bakery are also in the works and Kent mentioned a nephew who would like to bring back the creamery that was once a major part of the dairy operation long ago. “We hope to bring a lot of people here that are not from the area. 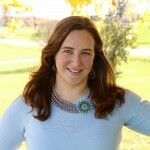 It’s a great way to highlight what the community has to offer,” said Rose. Updates on the Pickwick Place’s progress and information on events and activities can be found at www.thepickwickplace.com. Pickwick Place is located at 1875 N. Sandusky Ave., Bucyrus, Ohio.